Used 2008 Jayco Eagle Super Lite for Sale in Evans CO 80620 Fresh Rides Inc. CHECK OUT THIS 2008 JAYCO EAGLE SUPER LITE FIFTH WHEEL TRAILER! 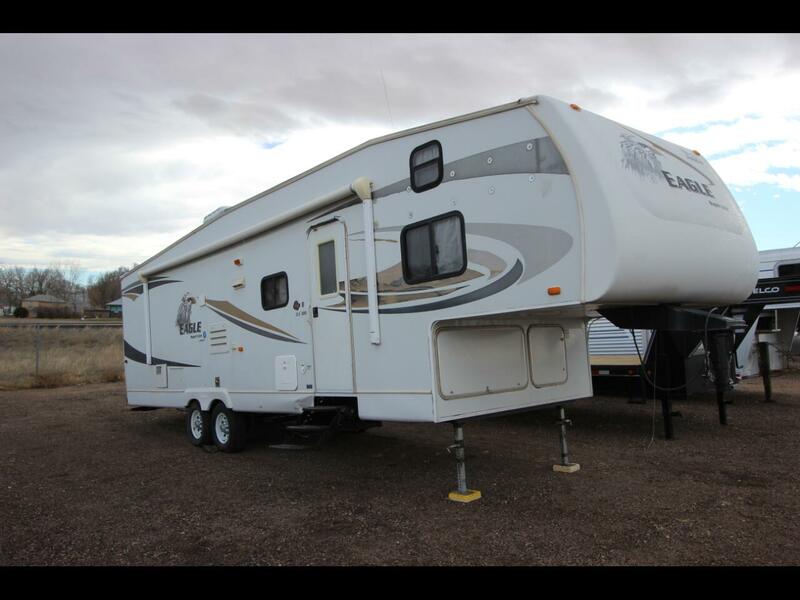 2008 Jayco Eagle Super Lite Fifth Wheel, 2 Slides, Master Bedroom, Bunk Beds, Full Kitchen, Toilet, Shower, Flat Screen TVs and So Much More. Come check it out at Fresh Rides today!! Be sure to ask about our FRESH START GUARANTEED CREDIT APPROVAL PROGRAM W.A.D! We understand your time is Valuable. We will do our best to offer a quick, and painless buying experience. Message: Thought you might be interested in this 2008 Jayco Eagle Super Lite.